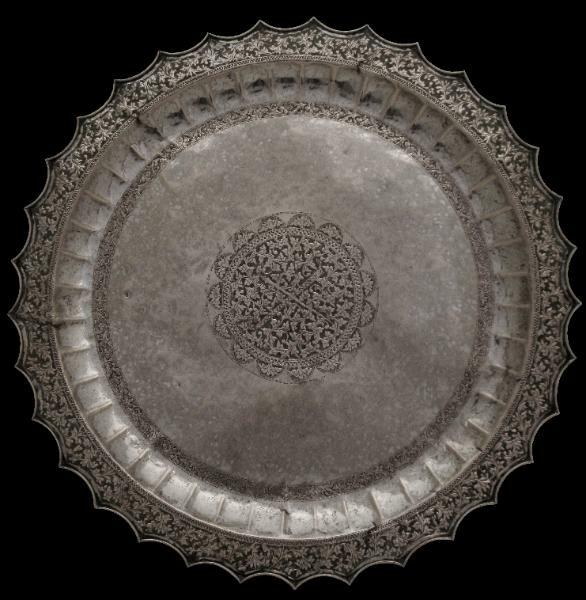 This Malay plate or tray of unusually large proportions. 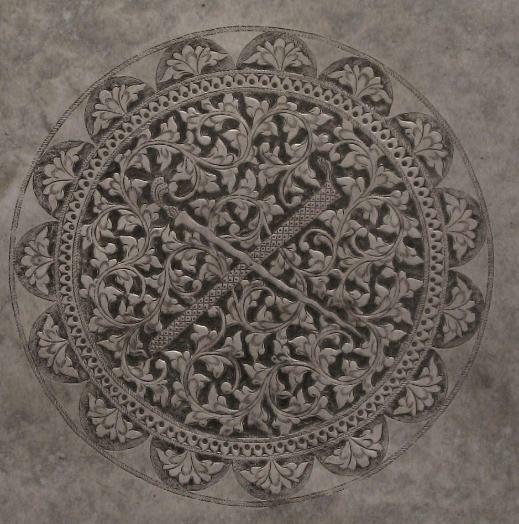 The centre is engraved with a roundel featuring a kris crossed with its scabbard amid typically Malay scrolling foliage (see the photographs below.) 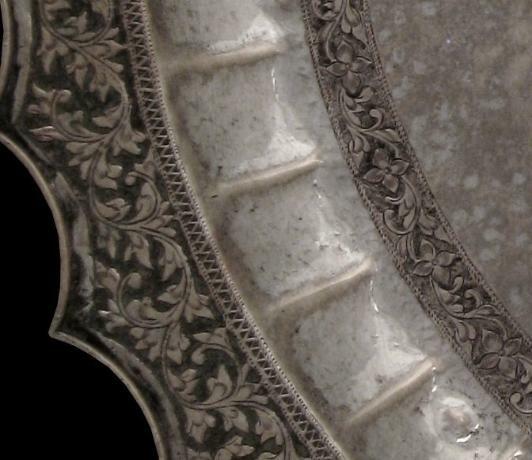 The bowl of the tray is edged with a finely etched border of stylised orchids and foliage. The fluted side rises to a flattened border of more scrolling foliage finished with a reinforced scalloped edge. The Message and the Monsoon: Islamic Art of Southeast Asia, IAMM, 2005, p. 192.